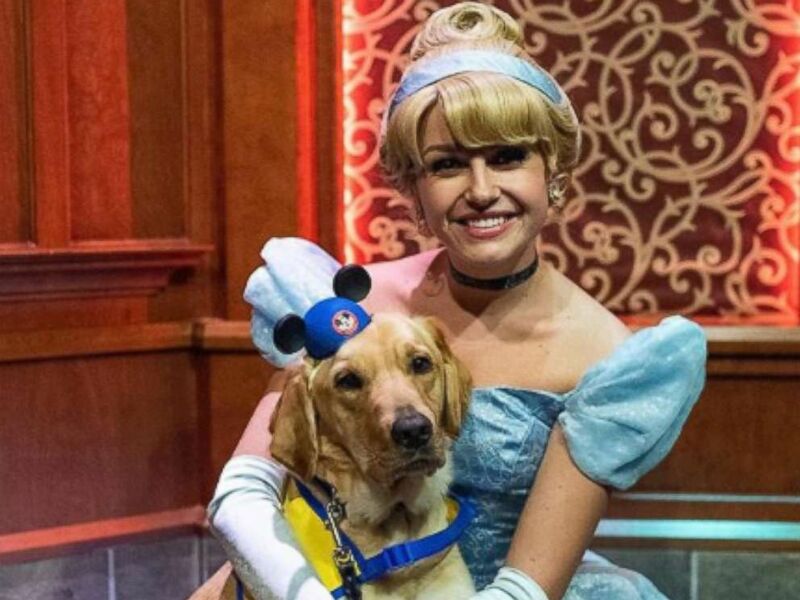 It appears this adorable pup just met his favorite Disney princess. Elijah, a Labrador and Golden Retriever mix and service dog in training, vacationed at Disneyland in Anaheim, California, with his handler in December. The 1-year-old pup was thrilled when he got the opportunity to meet Cinderella at the Royal Hall tourist attraction at the park. "He just loves everybody," said Elijah's handler Ashley Wilt, 19, who shared the moment on Instagram. "He immediately walked up [to Cinderella] and dropped into her lap. We call it the drop and flop." 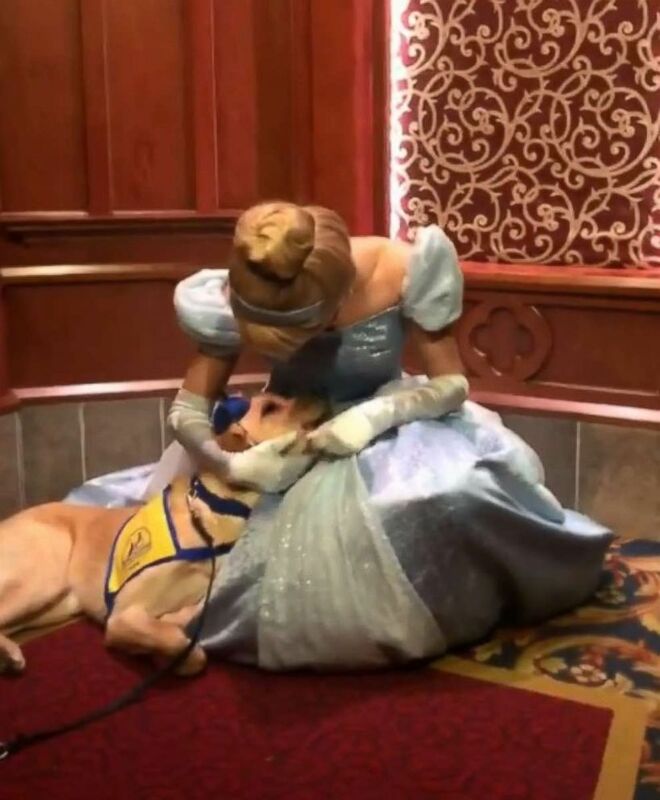 Elijah, a 1-year-old pup, was thrilled when he got the opportunity to meet Cinderella at Royal Hall at Disneyland in Anaheim, California. Cinderella can be seen responding to Elijah's sweet demeanor with hugs and petting. Wilt, a Denver native and student at Carroll College in Helena, Montana, volunteers for Canine Companions for Independence -- a nonprofit organization which places service dogs with children, adults and veterans with disabilities free of charge. 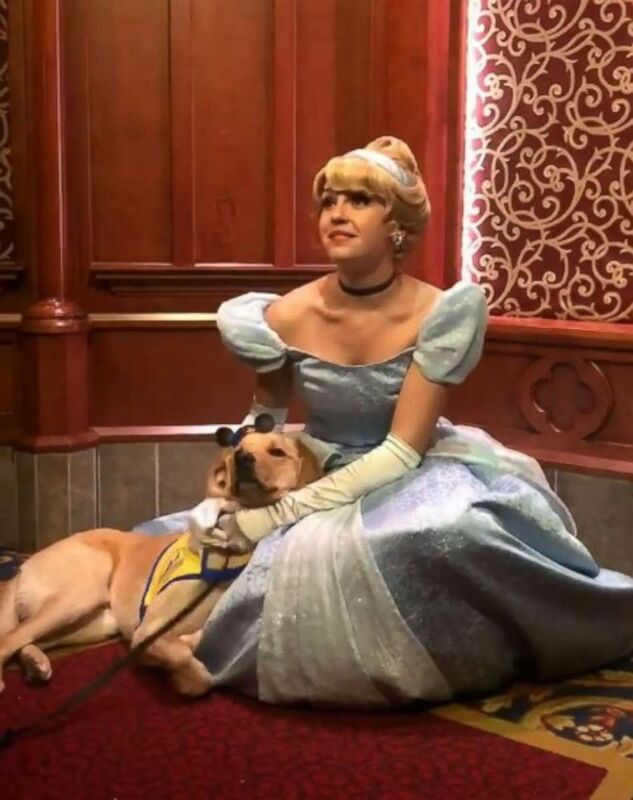 Ashley Wilt of Colorado, shared footage of Elijah, her service dog-in-training, onto Instagram as he met Cinderella at Disneyland. She's been working with Elijah since he was 2 months old by training and socializing him. Since Elijah has three weeks before entering advanced training, Wilt thought Disney would be a nice farewell trip. During his visit, it's clear that Elijah won Cinderella's heart. "You could definitely tell she as a dog lover," Wilt said, adding that Elijah enjoyed meeting Pooh Bear and Pluto as well. "She asked if he could stay the rest of her shift."